In great form with finishes of 2-38-3-4 on last four starts. Consistently gained strokes with his approaches to the green and TPC Sawgrass should be a good fit. There’s so many great storylines around golf at the moment and such is the glut of talent it’s difficult to fight for elbow room at the top of the market. 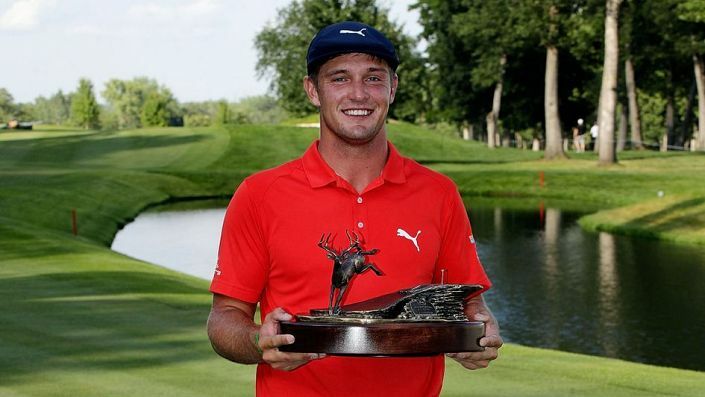 Normally Bryson DeChambeau is the type of player to generate headlines but even after finishes of 2-38-3-4 he’s still slightly under the radar. The media (and public) are probably bored reading about his scientific approach to the game and his funky one-length clubs but little is written about what a darn good player he is. Over the last five tournaments he is sixth on tour in strokes gained with approaches to the green and with TPC Sawgrass regarded as a second shot course, this bodes well. The 24-year-old won on tour last season and should already have opened his account in 2018. One poor round has been his undoing at the Arnold Palmer, Heritage and Wells Fargo but he’s ranked in the top-25 on tour for a whole slew of metrics and will get his rewards sooner rather than later. This is his debut at the Players but we saw at Augusta in 2016 that he can mix it with the best on an unfamiliar course. Coral are paying 7 places at 1/5 odds and 50/1 is fair.